There is a specimen that needs you. We’d like to suggest you adopt one that has personal or professional significance. Hundreds of diseases are represented in our collection; we can help you find a good match. Your sponsorship will be gratefully acknowledged with a label on the specimen bottle and on the specimen catalogue web site. If you would like to sponsor the restoration and maintenance of a member of this valuable collection, please use the SnapScan QR code alongside or go to the UCT donations page. 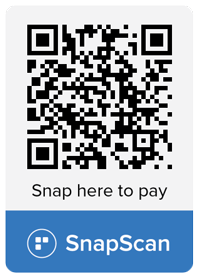 The SnapScan app can be downloaded for free, for more see the SnapScan site.